Steven Ward’s account of a three-car dash from Geneva to Menton, via the Alps, involving two Ford Mondeos and a Citroën C5 hire car. 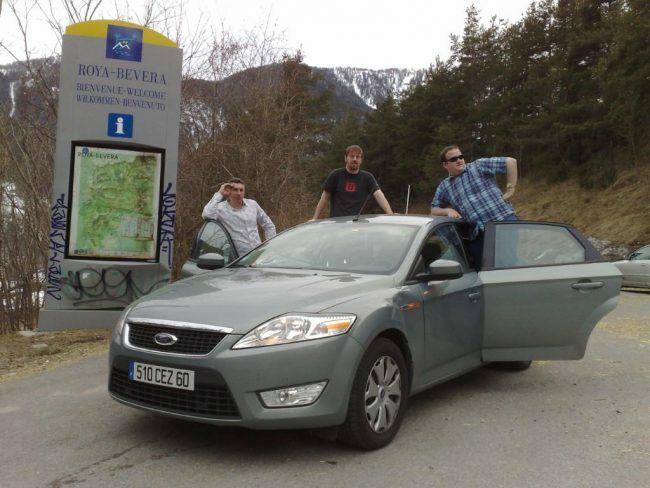 Mondeo team – would it beat our C5 to Menton? I was the man with the plan: Geneva was the excuse to get away with the lads for a motor trip to Monte Carlo. As ‘Pearly’ Elphick says in his piece, the Geneva Salon is worth the jaunt but, alas for me, this year wasn’t as good as last. It never lives up to the press hype as perpetuated by Autocar and the like – Dolly birds, exhibits and concepts all mysteriously vanish by the time plebs replace the press. Anyway, on with the plan. With Geneva being so expensive, I’d figured that, by staying outside of Geneva in a delightful town called Annecy just 30 minutes away, the hotel savings would pay for one day’s car hire and several additional beers. This done, all we then had to do was race each other to Menton, adjacent to Monte Carlo on the Italian side, although it is in France. You’d think that three cars leaving one underground car park in convoy would be simple. But no, not with three egos larger than the boot of my ‘Bondeo,’ each of us had split off from the others within seconds and the Top Gear-style game of chase was on. 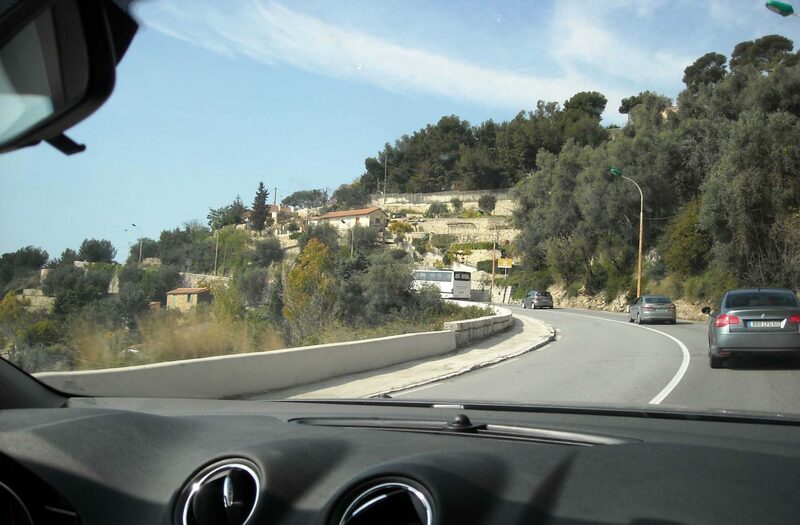 Who would parachute into Menton first and who would crash and burn on the mountain passes? Dual carriageways, toll roads and the likes were to be avoided wherever possible. Although we’d booked three Citroën C5s, we’d ended-up with two Mondeos and one Citroën . Incidently, the reason we plumped for Citroëns in the first place was because they are cheaper to rent than the equivalent Mondeo/407/Passat. We’re all penny-pinching car enthusiasts, so this cheap Cit was a Good Thing all round. 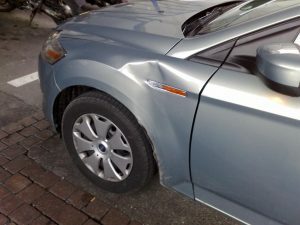 I was first to the RentaWreck counter and was thrown the keys to a well-worn, lastest-shape Mondeo in a colour favoured by James Bond himself. To say its 13k kilometres had been hard would be an understatement. It was bashed, scratched and filthy, but it was mine and was essentially a double upgrade, FOC. Initially, we tried to reject it, then we tried to upgrade it, but the computer steadfastly said ‘Non’. Not a problem for me as I’m on record as saying the Mondeo is ‘the best used car in the real world’ often enough. Truth be told, I was over the moon at having the crinkled Ford. Once the hire company was satisfied the car was junk and had written so on all the paperwork, I knew my excess was safer than a nationalised bank. Having driven to Monaco a few times in the past, my team decided that the Italian side was the way to go, if for no other reason that I’d never done it fully before. The fact that the sat-nav sent us in precisely the wrong direction for over an hour had nothing to do with it. Anyway, our first highlight of the day was the newly refubished Mont Blanc Tunnel at 33.5 Euros. Safety and security is now paramount in this tunnel and we adhered strictly to the speed limits, although we did take pictures, naughty-naughty. The snow depths along the roadside was over 6ft at times, bright sunshine in a winter wonderland. Our spirits were high and everyone was buying into my Mondeo hype – I’d even brought along ‘The Italian Job’ soundtrack to add to the mood! The Mondeo is one genuinely spacious car. I’m 6ft2in and carry a considerable girth, yet sitting in the rear was more comfortable than virtually anything this side of a Lexus – room to spare, comfortable seats and a fine sound system. The ride comfort is also very good and I’m a truly terrible passenger, but it never feels anything less than safe and secure. Up front the driving position is outstanding, the wheel and seat go in any direction you want. Pedal positioning is excellent, but getting acclimatised to left-hand drive and six-speeds takes time for some people. Say hello Alex. The dashboard, climate control and stereo system layouts are entirely logical and ergonomic. 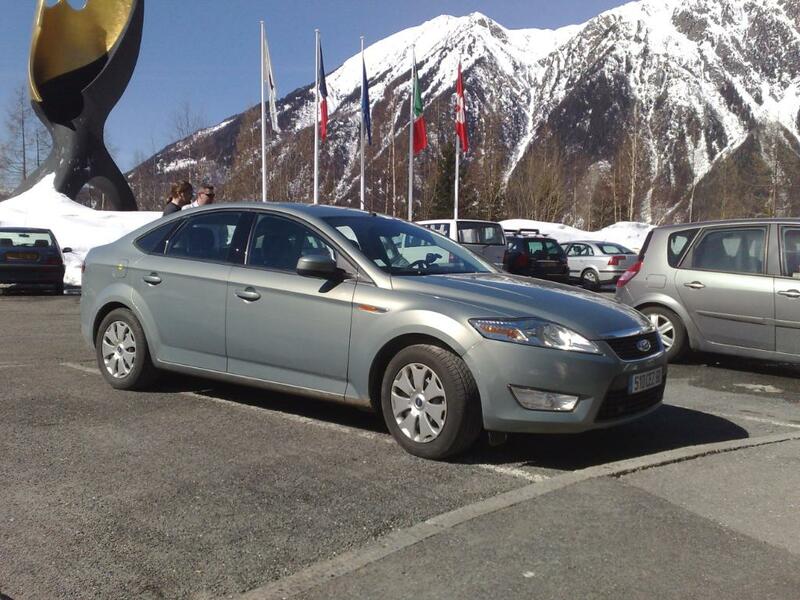 We were now so buoyant in mood, so relaxed in the Mondeo and far ahead of the ‘game’, we headed for Turin. We did this for no other reason than to see if the traffic and the chaos is as bad as people say it is. It is and we left no more bashed, but a lot more stressed. We feared for the Mondeo’s horn long after we’d had the horn over-gorgeous Italian women driving their 500s as if possessed. It didn’t help that the already poor sat-nav just gave up and we resorted to a map Rhyds was sensible enough to bring. It was interesting to say the least spotting the Italian prostitutes on the roadside; noteworth to say they got rougher the further out of town you travelled. The great thing about Mondeos is you can get in them and drive at 9/10ths of their considerable limits in comfort and safety all the while taking huge pleasure from it – that’s a USP in my book. However, this latest model suffers from a problem now commonly found across the new car park in that its getting increasingly large with less glass area. 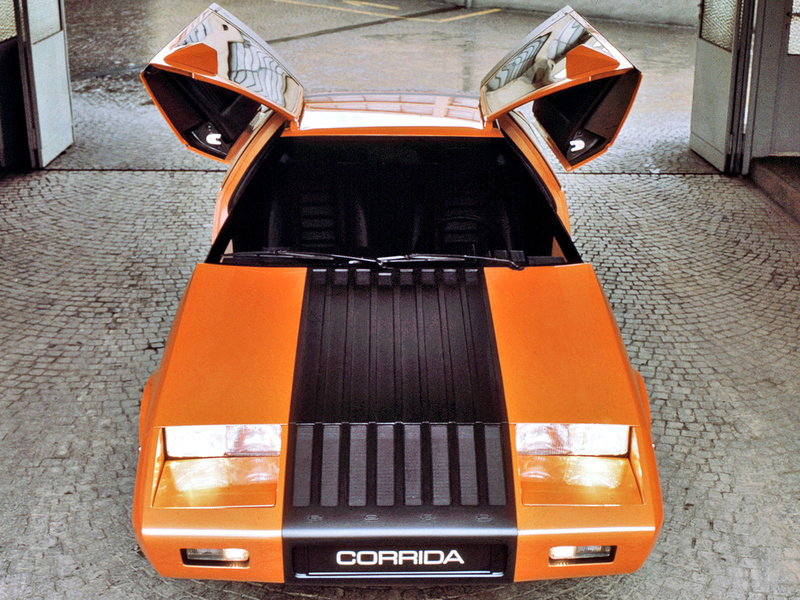 Visibility is not what it was, thanks to the proliferation of airbags, stout pillars and the like. It says a lot when front and rear manoeuvring sensors are standard – you’ll need them. 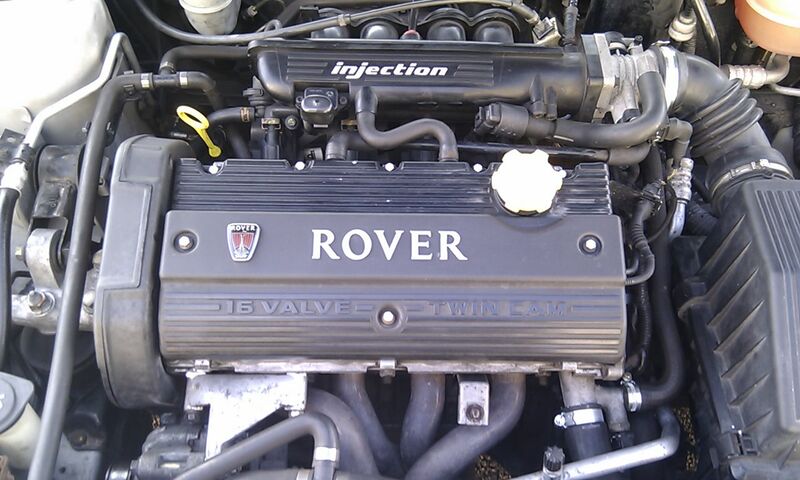 One issue which did annoy with the Mondeo was its size zero power band. We were lucky in the fact that we had a 1.8 diesel (UK reps get 1.6 TDCIs for not selling enough toner), but these are not a patch on the 2.0 jobbies. The useful rev range covers just 1750 revs which, when climbing hairpins in the mountains with four people on board and climate control chilling us, makes for hard work on both driver and ultimately powertrain. Invest in replacement Dual Mass Flywheels now. With a boot this big, though, who cares? Our only other issue with the great Bondeo as discussed was size. These things are truly massive now and I question exactly who needs a car this big? Even my local mincab fleet shy away from Mondeos due to their considerable size and as a result depreciation is steep. Their loss but, take it from me, they are outrageously good drivers’ cars as I demonstrated in finding the Menton hotel on the seafront and then racing Blueduck in the Citroën the next day. Charging into Monaco along the mountain roads while being ‘pursued’ by the Duck in the C5 with the other Mondeo gamely hanging on was a thrilling drive. You can still adjust the racing line in a Mondeo on the road when all of the suspension travel has been consumed by roll and yet not chirp the tyres. Thanks to RPJ and JYS there. For a chill, I took a back seat in the Citroën. Comfortable, but not as spacious as the Mondeo and you’re sat higher-up too. However, refinement is ahead, tyre noise is much better muted while there is also a lovely feel of having no vibrations through the floor. Better bushing, bigger tyre sideways or just more sound proofing? Who knows, but it sounds and feels like you are gliding, for a steel sprung car anyway. The Citroën is also quite firmly sprung for a big Frenchie, but not as firm as the Mondeo. Immediately, you can feel the Citroën powertrain is the better, more power over a larger rev range with less noise as a bonus. This makes it a more relaxing drive for all concerned, but no six-speeds here. The dash layout, although more stylish, just wasn’t as sensible or as easy to fathom as the Ford. Forget your soft touch glovebox lids, I want simplicity above all else. The standard sat-nav seemed the business though. I also find the slightly more compact Citroën the more stylish car, one that I’d polish for slightly longer. Long-term reliability is something I’d question, Citroens not being noted for this while the Fords, although not perfect, are more of a known and trusted quantity. I elected not to drive the Citroën on the trip – I’d had two RTCs before leaving the UK and wasn’t looking for the ‘everything comes in threes’ cliche to come true. So that is the limit of my comparisons. Next year, I’m advocating five Fiat Pandas for the race, sorry, drive. It should be fun. Poor man’s C5 if you ask me…. Officially, a better class of car. Just ask any rental company.